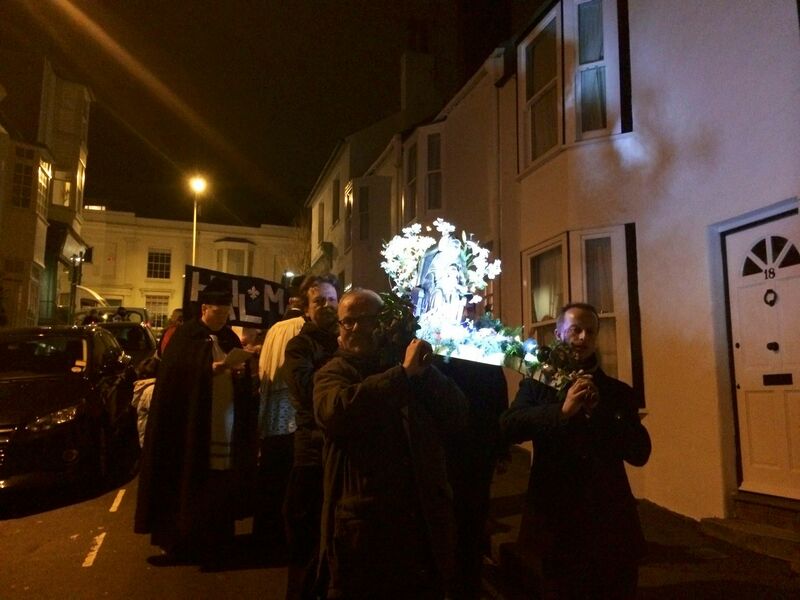 GAUDIUM: The joy of the Gospel. The joy of the Priesthood. A video celebrating 50 years of priesthood in A&B. The grand launch took place at our Golden Jubilee celebrations on Sunday and the DVD was well received. 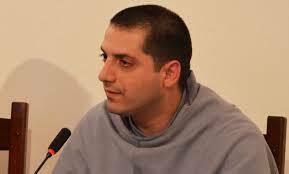 Please pray and pray and pray for many vocations to the priesthood for our lovely diocese. 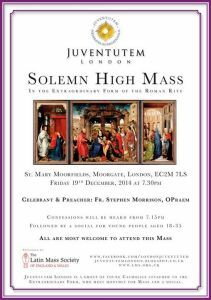 Juventutem is an international organisation for young people aged 18-35 attached to the Extraordinary Form of the Mass. 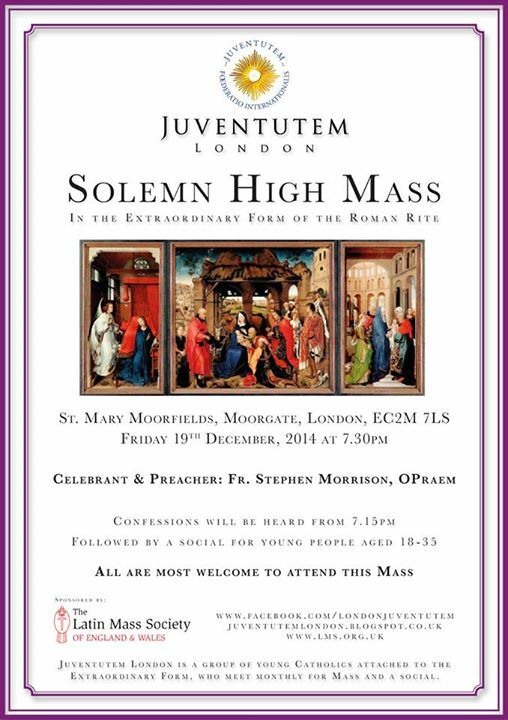 They have a Mass next Friday, salve the 19th, in London. If anyone is interested in attending, James will be organising monthly groups to travel up from Brighton. 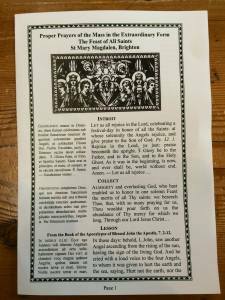 You can now see pictures from our Mass for All Saints and our social event afterwards on our Facebook page. Saturday, approved December 6 at 6:00pm – Please click this link to be taken to the event on Facebook. Please share with as many people as possible. 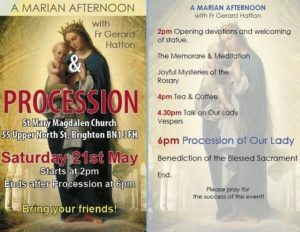 Starting at 6pm we will process from the Church to the Clock Tower in Brighton. There are some pictures available on the parish Facebook page of last years procession. 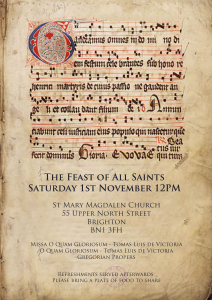 Please do try and come along, this was a huge success last year. 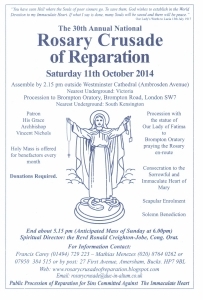 On the 11th of October will be the annual Rosary Crusade of Reparation. 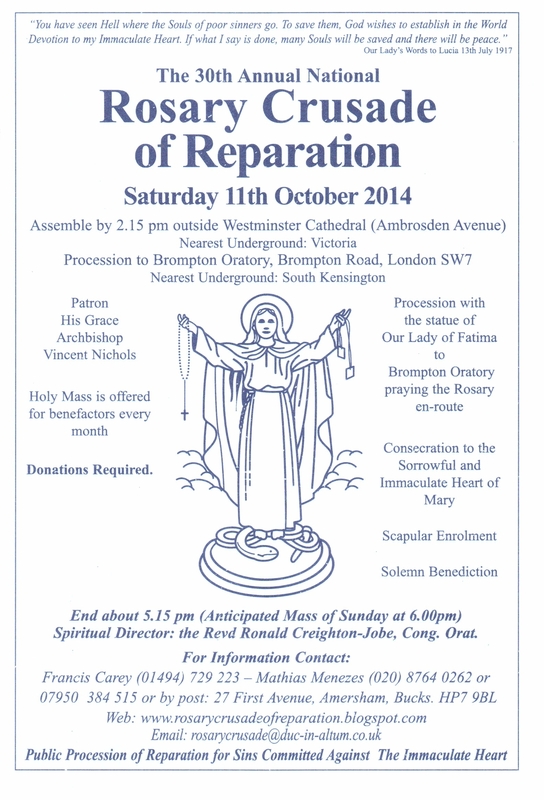 This is a walking procession from Westminster Cathedral to the London Oratory.